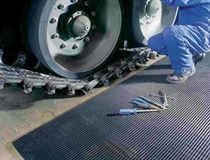 Heavy duty, flexi-fingered, rubber Entrance Matting, highly effective at extracting dirt, dust, mud etc. from shoes irrespective of walking direction. The unusual sensation felt whilst walking on Brush-Kleen encourages pedestrians to wipe their feet. Also an effective anti-fatigue standing mat. 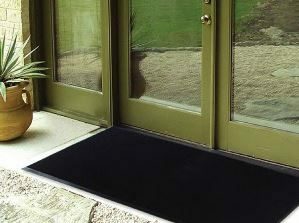 Freestanding mats incorporate moulded anti-trip bevelled edges to all sides.